New Painting: "Glorious Day," 30" x 30"
This year, I challenged myself to create a looser, free-form abstract acrylic painting, one that is a departure from my usual bold, tighter mark-making style. I really enjoyed letting go and creating layers of paint and marks in a more free-flowing style. I’m so happy with the result that I will paint another in a similar style. "Glorious Day" makes everyday feel beautiful and would be a wonderful addition to any cozy home. Purchase info here. 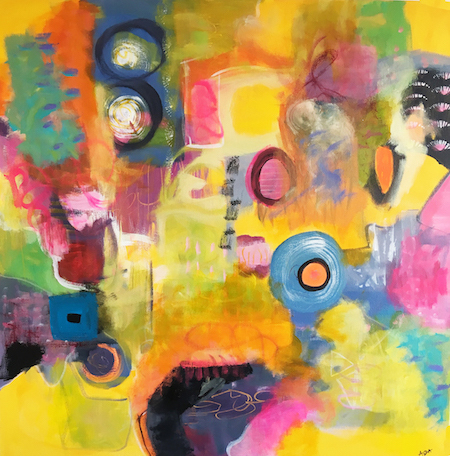 New Painting: "Paradise," 30" x 40"
"Paradise" is a very uplifting and happy painting! It helps shift my energy quickly when I’m feeling down. My largest painting so far, it has a concentration of orangey yellows, as well as other colors. 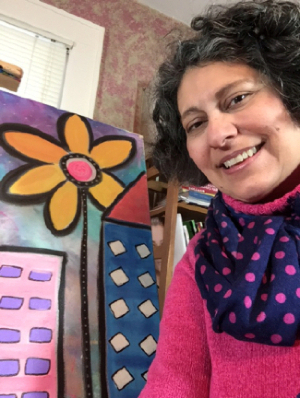 The bright hues and shapes of Mexico were flowing through me when I painted it. (Virtual travel to Mexico courtesy of Google Maps.) 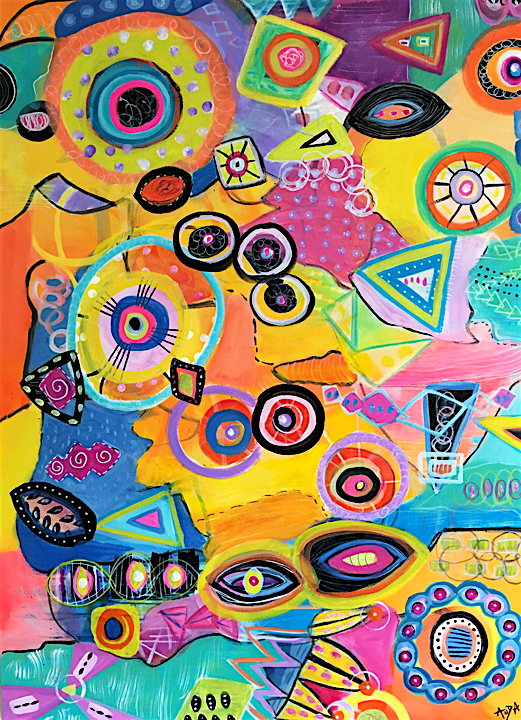 This colorful and bold acrylic painting makes a fun, vibrant statement. Purchase info here. 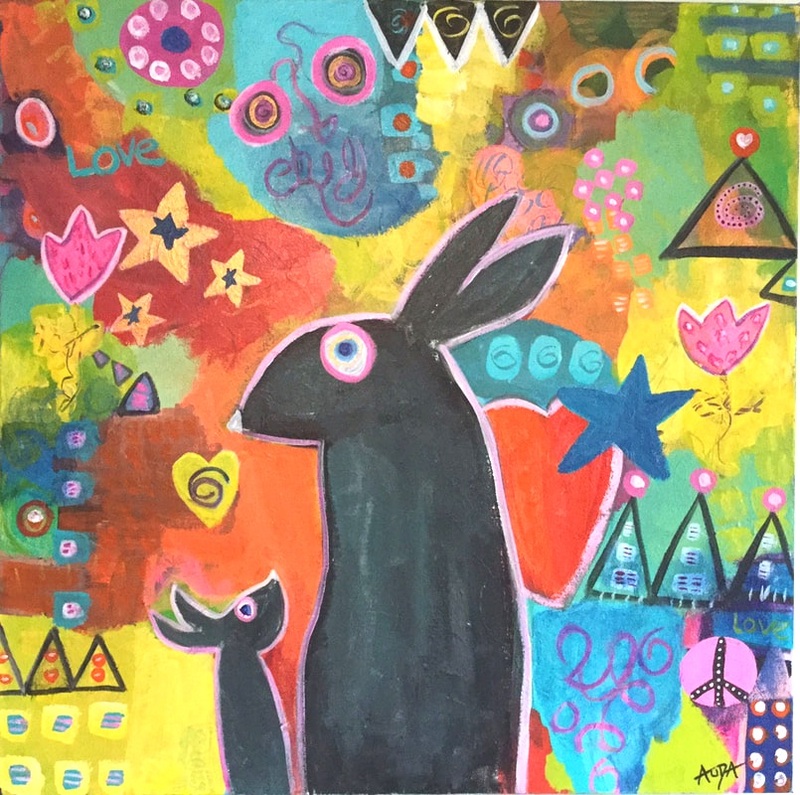 I was honored that my painting, “Mama Loves You,” was featured in the Artsy Shark Winter Artist Showcase 2018, on view through March. Founded in 2009 by ceramic jewelry artist, Carolyn Edlund, ArtsyShark.com is a renowned business-building resource and consultancy for artists. Copyright © 2018 Christine Auda, All rights reserved.